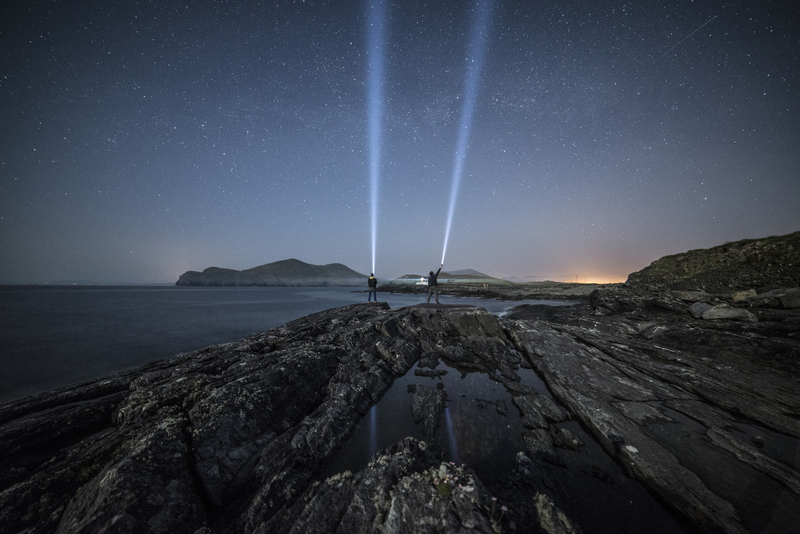 The Irish Astronomical Society (IAS has launched their “Images of Starlight” exhibition at the National Botanic Gardens in Glasnevin which showcases photographs from amateur photographers from all over the world. Instead of just sharing them among fellow deep space enthusiasts the members of the IAS hope to reach a wider audience with the exhibition. It’s the second event of its kind since 2016 and as Leo Enright, space commentator and just recovered after an eye operation said at the launch. “My bionic eyes tell me they are more beautiful than the last time, those who attend will be able to see many intriguing photographs of the solar system, our galaxy the Milky Way and other galaxies. It is a rare opportunity to view the highest quality astronomical images”, said Leo. The photographs capture moon rises in various phases, the planets of solar system, aurora lights and the deep space images of distant galaxies and super novae. For John Dolan, Vice-president of the IAS the hobby of star gazing the night sky goes back to the early days of space exploration. “I was a ten year old when Sputnik was launched in ’57 and observing and taking photos of what appears in the sky at night is a fascinating hobby which is becoming more popular in Ireland. Telescopes can now be obtained at reasonable cost and recent advances in digital photography have made taking photographs of the night sky more accessible to amateurs”. John will hold a talk on Saturday the 24th of November at 2 pm about how to get started with photographing the night sky. The following Saturday Professor Brian Espey of Trinity College will hold a talk on light pollution at 2pm. Four telescopes are also part of the exhibition including one Dobsonia, so named after the San Francisco monk John Dobson who ‘invented’ the sidewalk astronomy events over 50 years ago. On December 14th the IAS invites stargazers of all ages to their monthly sidewalk astronomy event at Sandymount beach. You can bring your own telescope and get some expertly advice of what constellation you’ll see when you look out onto the sky above Dublin Bay. The “Images of Starlight” exhibition at the Botanic Gardens will run till December 2nd during the usual opening hours and admission is free.